Academic staff make significant contributions to the understanding of Asian languages and societies, publishing in English and other languages. Recent major publications by Asia Institute academic staff are categorised by year. 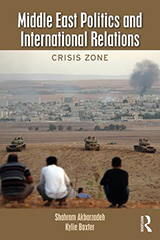 The contemporary Middle East has been defined by political crises and conflict. The interplay of internal and external factors have set the region on a path of turmoil and crisis with devastating outcomes for its people. The absence of political accountability and representation, and policies pursued by the United States to keep US-friendly regimes in power have been two key factors that have contributed to the seemingly insoluble Middle East politics. This book provides a detailed exploration of the forces, internal and external, that have shaped today's Middle East. The book follows a chronological order and provides context to major political milestones. Dwi Noverini Djenar, Michael C. Ewing, and Howard Manns. 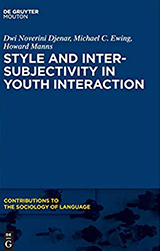 Style and Intersubjectivity in Youth Interaction. Boston/Berlin: de Gruyter Mouton, 2018. 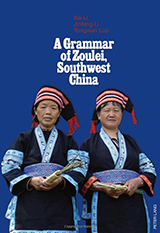 This book examines how style and intersubjective meanings emerge through language use. It is innovative in theoretical scope and empirical focus. It brings together insights from discourse-functional linguistics, stylistics, and conversation analysis to understand how language resources are used to enact stances in intersubjective space. While there are numerous studies devoted to youth language, the focus has been mainly on face-to-face interaction. Other types of youth interaction, particularly in mediated forms, have received little attention. This book draws on data from four different text types - conversation, e-forums, comics, and teen fiction - to highlight the multidirectional nature of style construction. Indonesia provides a rich context for the study of style and intersubjectivity among youth. In constructing style, Indonesian urban youth have been moving away from conventions which emphasised hierarchy and uniformity toward new ways of connecting in intersubjective space. This book analyses how these new ways are realised in different text types. Claire Maree and Kaori Oakno (eds.,). 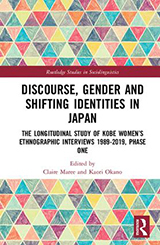 Discourse, Gender and Shifting Identities in Japan: The Longitudinal Study of Kobe Women's Ethnographic Interviews 1989-2019, Phase One. Routledge Taylor and Francis 2018. This book is the first in a unique series drawn from an interdisciplinary, longitudinal project entitled 'Thirty Years of Talk.' For 30 years, Okano recorded ethnographic interviews and collected data on the language of working class women in Kobe, Japan. This long-range study sketches the transitions in these women's lives and how their language use, discourse and identities change in specific sociocultural contexts as they shift through different stages of their personal and public lives. It is a ground-breaking, 'real time' panel study that follows the same individuals and observes the same phenomena at regular intervals over three decades. 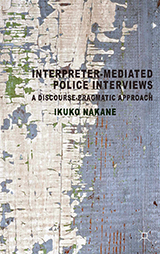 In this volume the authors examine the changes in the speech of one particular woman, Kanako, as her social identity shifts from high-school girl to mother and fisherman's wife, and as her relationship with the interviewer develops. They identify changes in linguistic strategies as she negotiates gender/sexuality norms, stylistic features related to the construction of rapport, the use of discourse markers as she gets older, and the interviewer's information-seeking strategies. Akihiro Ogawa (ed.,). 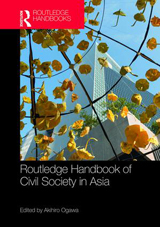 Routledge Handbook of Civil Society in Asia. Routledge Taylor and Francis, 2018. The Routledge Handbook of Civil Society in Asia is an interdisciplinary resource, covering one of the most dynamically expanding sectors in contemporary Asia. Originally a product of Western thinking, civil society represents a particular set of relationships between the state and either society or the individual. Each culture, however, moulds its own version of civil society, reflecting its most important values and traditions. This handbook provides a comprehensive survey of the directions and nuances of civil society, featuring contributions by leading specialists on Asian society from the fields of political science, sociology, anthropology, and other disciplines. 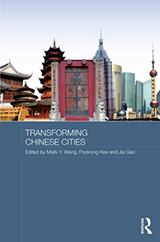 Comprising thirty-five essays on critical topics and issues, it is divided into two main sections. Is there a basis for human rights in Islam? Beginning with an exploration of what rights are and how the human rights discourse developed, Abdullah Saeed explores the resources that exist within Islamic tradition in support of human rights. He identifies those that are compatible with international human rights law and can be garnered to promote and protect human rights in Muslim-majority states. Relying on significant texts in the Qur'an and hadith, early juristic discourses and modern Islamic scholarship, Saeed explains the compatibilities and incompatibilities between Islamic law and international human rights law. He also deals separately with a number of specific rights that are usually considered somewhat incompatible with Islamic law, such as the rights of women and children, freedom of expression and religion and jihad and the laws of war. Each chapter also contains a case to allow readers to look more closely at issues of relevance. Human Rights and Islam emphasises the need for Muslims to rethink problematic areas of Islamic thought that are difficult to reconcile with contemporary conceptions of human rights. Students of Islamic law, human rights and Islam in the modern period will appreciate this challenging but accessible look at an important topic. 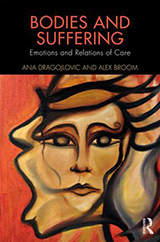 This book is a critical response to a range of problems - some theoretical, others empirical - that shape questions surrounding the lived experience of suffering. It explores how moral and ethical questions of personal suffering are experienced, contested, negotiated and institutionalised. Bodies and Suffering investigates the moral labour and significance invested in actions to care for others, or in failing to do so. It also explores circumstances - personal, political and social - under which that which is perceived as non-moral becomes moral. Drawing on case studies and empirical research, Bodies and Suffering examines the idea of the suffering body across different cultures and contexts and the experience and treatment of these suffering bodies. The book draws on theories of affect, embodiment, the phenomenology of illness and moralities of care, to produce a nuanced understanding of suffering as being located across the assumed borders of time, space, bodies, persons and things. 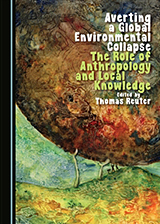 This book focuses on the visual media, one of the key factors in shaping the contemporary ecology of colliding environments. 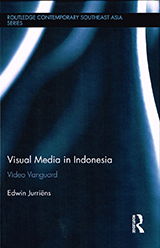 Case-studies include video artists, community media activists, television programme makers and literary authors in the fourth most populous country in the world, Indonesia. The author demonstrates that these actors are part of an international creative and social vanguard that reflect on, criticise and rework the multidimensional impact of the visual media in imaginative and innovative ways. Their work explores alternative and more sustainable presents and futures for Indonesia and the world. This research is urgent and timely, as Indonesia has emerged in recent years as one of the world's most vibrant hubs for contemporary art and media experimentation. 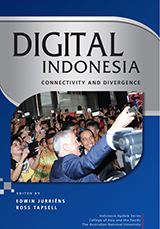 This book places Indonesia at the forefront of the global debate about the impact of "disruptive" digital technologies. Digital technology is fast becoming the core of life, work, culture and identity. Yet, while the number of Indonesians using the internet has followed the upward global trend, some groups - the poor, the elderly, women, the less well-educated, people living in remote communities - are disadvantaged. This interdisciplinary collection of essays by leading researchers and scholars, as well as e-governance and e-commerce insiders, examines the impact of digitalisation on the media industry, governance, commerce, informal sector employment, education, cybercrime, terrorism, religion, artistic and cultural expression, and much more. It presents groundbreaking analysis of the impact of digitalisation in one of the worlds most diverse, geographically vast nations. In weighing arguments about the opportunities and challenges presented by digitalisation, it puts the very idea of a technological revolution into critical perspective. 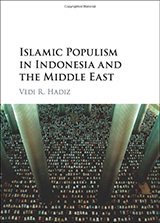 In a novel approach to the field of Islamic politics, this provocative new study compares the evolution of Islamic populism in Indonesia, the country with the largest Muslim population in the world, to the Middle East. 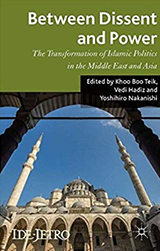 Utilising approaches from historical sociology and political economy, Vedi R. Hadiz argues that competing strands of Islamic politics can be understood as the product of contemporary struggles over power, material resources and the result of conflict across a variety of social and historical contexts. 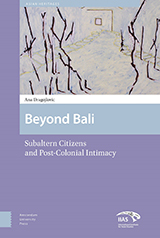 Beyond Bali: Subaltern Citizens and Post-Colonial Intimacy explores Balinese subaltern citizens' production of post-colonial intimacy both during colonialism and as they continue to have effects in the present. Balinese subaltern citizens, whether former leftist political exiles, artist or everyday citizens, rather than criticising, evoke colonial hierarchies of themselves as carriers of unique cultural traditions firstly promoted by the Dutch colonial policy (named 'Balinization'), to position themselves higher than the other foreigners in the Dutch post-colonial matrix of difference. 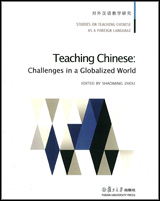 This volume presents a broad social science audience with recent innovative scholarship and research findings on global media and public diplomacy concerning Sino-Western relations. 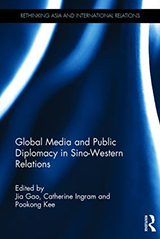 It focuses on the implicit nexus between global media and public diplomacy, and their actual utilisation in and impact on the shifting relationships between China and the West. Special attention is given to the changing nature of globalised media in both China and Western nations, and how globalised media is influencing, shaping and changing international politics. The World Science Union (ICSU) has recognised that knowledge of the social sciences is indispensable for facilitating the major socio-cultural transformations now required, and, together with the International Social Science Council (ISSC), called for a mainstreaming of environmental research in the social sciences at the Rio+20 Earth Summit. The two major international organisations in anthropology, IUAES and WCAA, responded to this call by co-sponsoring a symposium on environmental change at the Manchester World Anthropology Congress, and by creating a scientific Commission for Anthropology and Environment, which then hosted a second symposium in Chiba City, Tokyo, in May 2014. This volume is a selection of the many papers presented by a truly international group of experts at the two symposia. 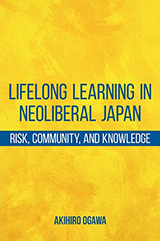 Akihiro Ogawa explores Japan's recent embrace of lifelong learning as a means by which a neoliberal state deals with risk. Lifelong learning has been heavily promoted by Japan's policymakers, and statistics find one-third of Japanese people engaged in some form of these activities. Activities that increase abilities and improve health help manage the insecurity that comes with Japan's new economic order and increased income disparity. Ogawa notes that the state attempts to integrate the divided and polarised Japanese population through a newly imagined collectivity, atarashii kōkyō or the New Public Commons, a concept that attempts to redefine the boundaries of moral responsibility between the state and the individual, with greater emphasis on the virtues of self-regulation. 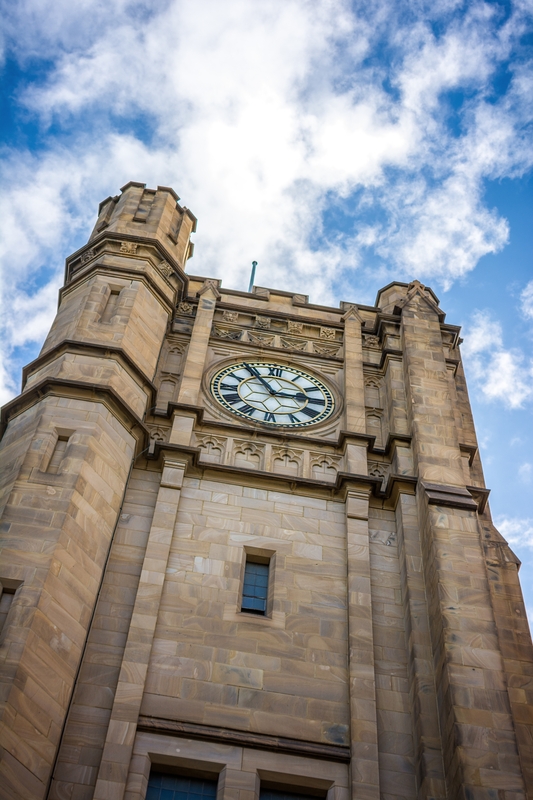 For more than two decades Australia has not only prospered without a recession but has achieved a higher growth rate than any Western country. This achievement has been credited to Australia's historic shift to Asia; the transformation of the relationship between these two countries is one of the most important changes in the Asia-Pacific region. However, the role of new Chinese migrants in transforming Sino-Australian relations through their entrepreneurial activities has not been deeply explored. 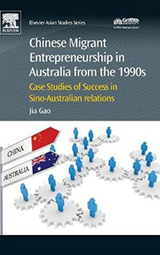 Chinese Migrant Entrepreneurship in Australia from the 1990s adds new theoretical considerations and empirical evidence to a growing interest in entrepreneurship, and presents an account of a group of new Chinese migrant entrepreneurs who have succeeded in their business ventures significantly contributing to both Australia and China.